Kodaikanal is an amazing hill stations in South India and is located amidst the folds of the verdant Pali hills is Tamil Nadu. Kodaikanal is one of the most popular and serene hill stations in India, which is sure to mesmerize any traveler or visitor. The amazing wooded slopes, enhancing waterfalls, mighty rocks, and a beautiful lake makes Kodaikanal a charming hill station. 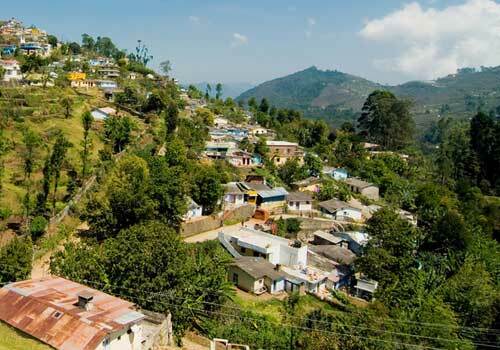 Kodaikanal hills are situated at an altitude of about 2,133 meter high and this hill station covers an area of approximately 21.45sq km. Kodaikanal is well known for its top class educational institutions which have earned international reputations. Kodaikanal is home to the ‘Kurinji-flower’, which blossoms once in 12 years and it is one of the rarest hill stations along with Munnar where one can see the Kurinji flower (Neelakurinji). Plums and the hill-plantain fruits in Kodaikanal are very famous and are known for their extra ordinary taste and freshness. 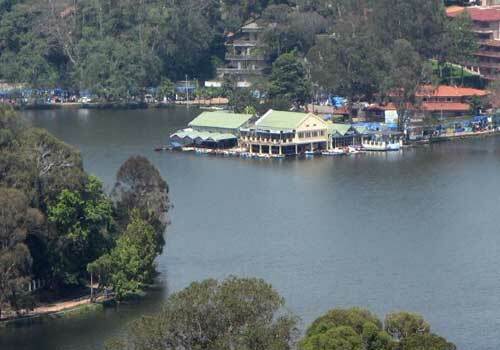 Your travel trip to Kodaikanal will be more memorable with a visit to the Kodaikanal Lake. 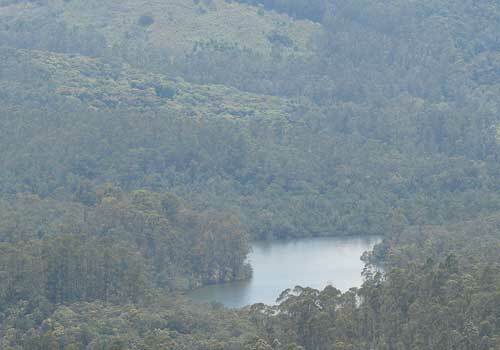 The Kodaikanal Lake is an amazing man-made lake and is one of the major attractions of this hills stations. The start shaped lake spreads out over sixty acres and you can enjoy a great boating experience in the lake which is offered by the boat club at a much affordable rates. For those interested in wandering and enjoying the beauty of nature, Kodaikanal is one of the best place to be. One of the most beautiful picnic spot in Kodaikanal is the Berijam lake, which is located 21 km away from the town. This beautiful lake and the scenery surround it are a real treat to the eyes and attracts a lots of travelers. There is also the Bryant Park, situated on the eastern side of the lake, and this park is well known for its flowers, hybrids and rafts and you will be able to see wide varieties of flowers over here. There is also an annual horticultural show which is held in this park during the month of May. The Shenbaganur Museum, which is located about 5 Km from the Kodaikanal lake is another major attraction and place to visit in this hill station. The Shenbaganur Museum in Kodaikanal is maintained by the the Sacred Heart College maintains this museum and this place is home to some of the best orchidoriums in the country. Here you can see around more than 300 species of orchids and a varied collections of amazing birds species. If you want to enjoy the beauty of this hill stations in a much better and broader way, then it is recommended to have a visit to the Coaker’s Walk. The Coaker’s Walk is around 1 kilometre away from the lake and from here you can see some of the best views and sights of the plains. Also visit the Pillar rocks which is situated within the city limits and you will be getting a beautiful panoramic view of the nearby places. For those planning to travel by air, the nearest airport to Kodaikanal is at Madurai which is around 120 kms away. The nearby railway station is also 64 kms away in Palani. Once you get down over there, you can hire a taxi to reach Kodaikanal as there are a lot of taxi services operating to Kodaikanal from Madurai and Palani. Once you reach Kodaikanal, you will not find any difficulty in getting a suitable accommodation as there are a wide range of budget, economy as well as luxury resorts and hotels with all the modern basic amenities and facilities. This entry was posted in Kodaikanal and tagged kodaikanal hill station, kodaikanal lake, kodaikanal tamil nadu, kodaikanal travel attractions. Bookmark the permalink.